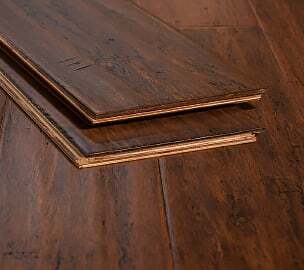 Sometimes referred to as distressed or antiqued floors, hand scraped bamboo flooring starts out as flat unfinished planks that are scraped on top to create rustic, beautiful surface designs loved by designers and homeowners alike. 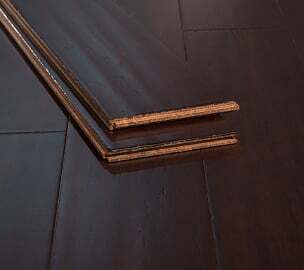 Used in both traditional and modern design, these distressed bamboo floors offer an added benefit: they show less wear and tear over time than other floors, since the hand scraping helps to hide dings and scratches. 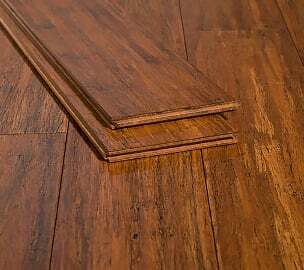 Hand scraped distressed bamboo flooring comes in both engineered click lock as well as solid tongue and groove options and has become wildly popular over the past decade. 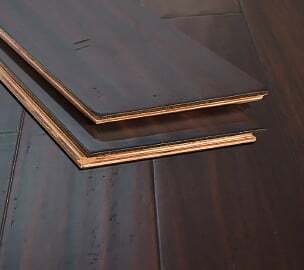 The fact that these floors are usually much less expensive than their hardwood counterparts makes them an incredible value, with a cost per square foot that's usually $2-$10 less than hardwoods. To top it off, hand-scraped strand woven bamboo is 3 times harder than traditional hardwoods, almost always come in premium lengths and widths (wide planks, long lengths),	and is made from a rapidly renewable material that regenerates every 5 years. At Ambient Bamboo Floors, we believe choosing sustainable flooring doesn't have to limit your decor options when remodeling. Full of character and charm, our hand scraped strand bamboo floors combine modern, "green" technology and sustainability with an old-world handcrafted feel. Thanks to this versatility, our products are a favorite of interior designers and architects, and receives great bamboo flooring reviews from homeowners like you as well. Finally, we like to think of it as art you can walk on. 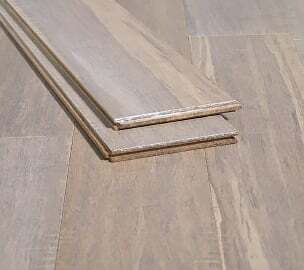 Hand scraped bamboo flooring is an extremely durable product, perfect for busy families and high traffic areas of the home. Our products are pet-friendly and hard enough to resist denting, maintaining a beautiful finish with minimal upkeep. 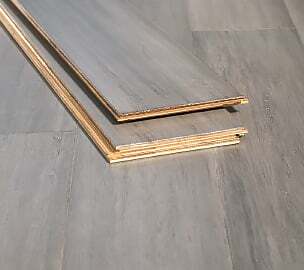 We offer distressed floors in our proprietary AccuSeal® Finish System, which has a lifetime warranty. 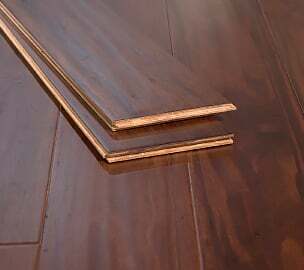 Like all our products, our hand scraped bamboo flooring exceeds the most strict off-gassing and VOC (volatile organic compound) emissions standards set out by the California Air Resources Board (phase one and two), the Occupational Safety and Health Administration (OSHA), the International Standards Association, and European indoor air quality standards (E0 and E1). 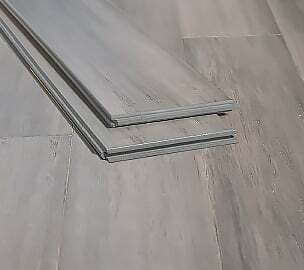 We also offer ultra-low and zero VOC products, such as bamboo flooring glue and 3-in-1 underlayment. 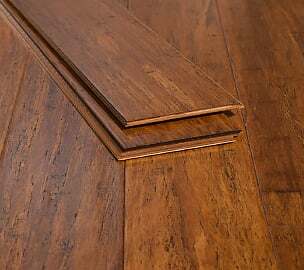 All our strand woven floors have a Janka hardness rating rating between 4,000-6,000 - that's three times stronger than oak. 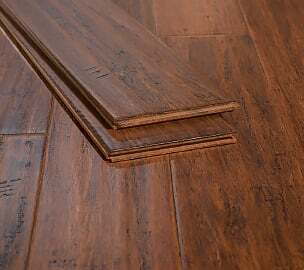 In fact, you'll be "hard pressed" to find another commercially available wood that outperforms our strand-woven wide plank bamboo flooring! Because of that, we're able to offer a lifetime guarantee on the structural integrity of our hand scraped strand bamboo flooring solutions. Making environmentally responsible choices in your home doesn't mean having to live in a mud hut! Our is harvested from well-managed forests certified by the Forestry Stewardship Council. We've also incorporated sustainable practices into our shipping and packaging. 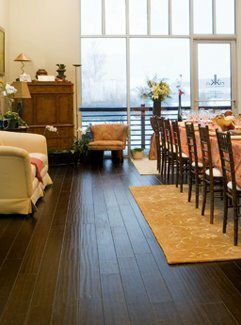 Get eco-friendly bamboo flooring with hand scraped charm at Ambient Bamboo Floors - where elegant design and respect for the environment go hand in hand! 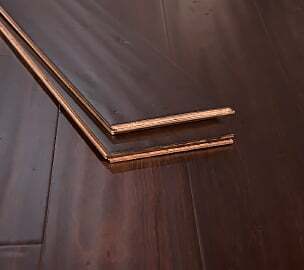 Our hand scraped bamboo wood flooring is available in wide plank dimensions, and all are constructed from ultra-premium strength strand woven materials.